In June, we did a Q & A series to answer your questions. 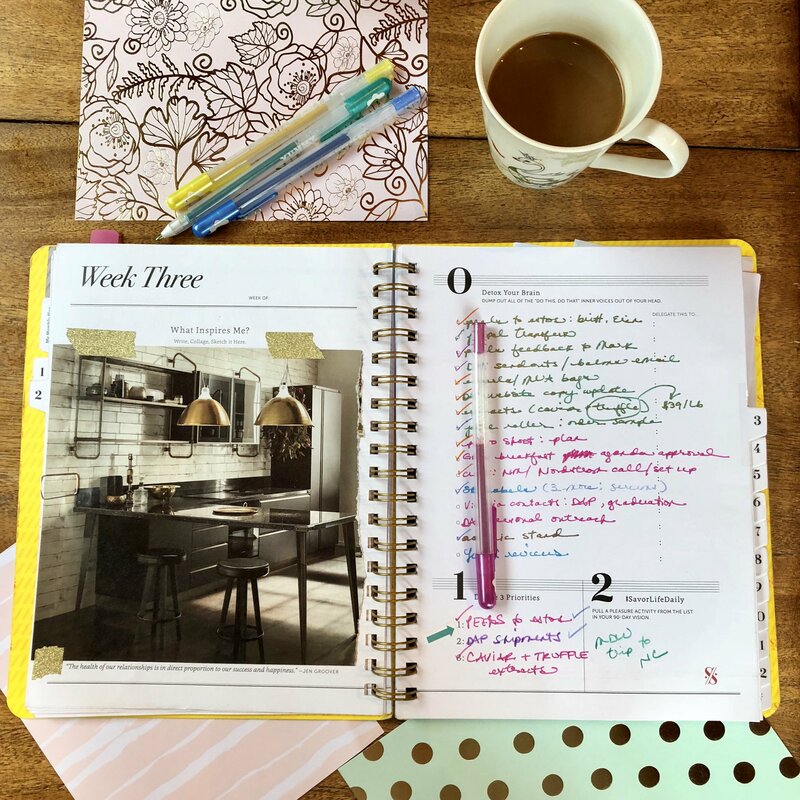 "My favorite thing about the old planner was that I was forced to focus on that one day, without the noise of the rest of my week distracting me. I'm nervous to dive into the new system because of this. Any thoughts?" - Maci W.
This is a great question, and I also was once addicted to the day-at-a-time system. There were also many issues with it: wasting paper, drowning in too many daily details, and losing sight of the big vision. When I was a concert pianist, my professor said, "Angela, think like an eagle, not like a bird. If you think like a bird, you stay small. If you think like an eagle, you rise above and have the freedom to see the entire landscape like a master so you can make masterful decisions." This eagle analogy applies to mastering life. It pulls you from the weeds to flying above with focused intention, free from busywork. 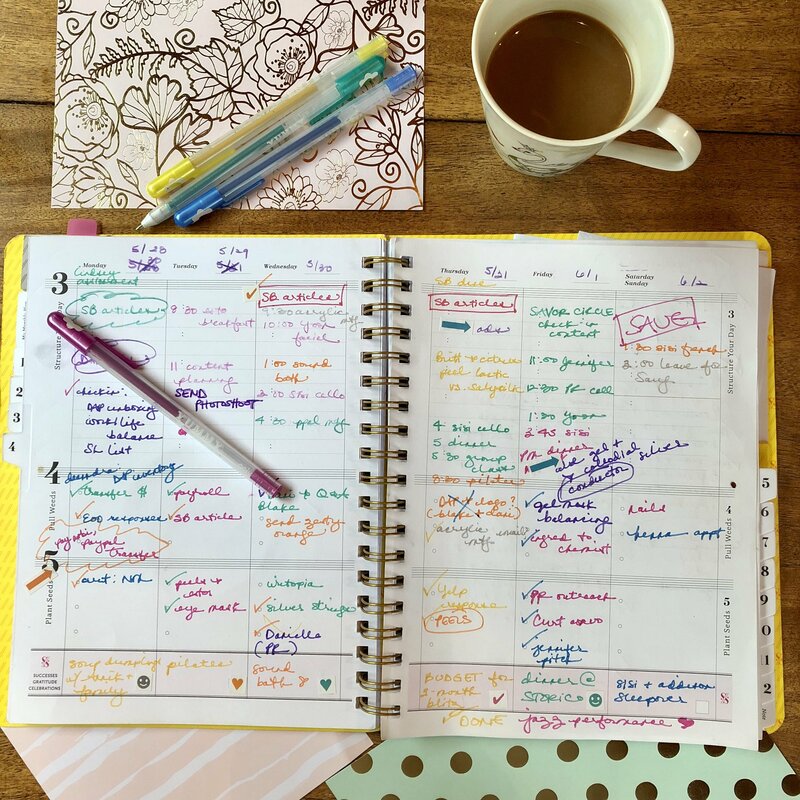 In the Daily Action Planner, you now have a MASTER brain dump on a tabbed page. You can refer back to this list easily, week after week. 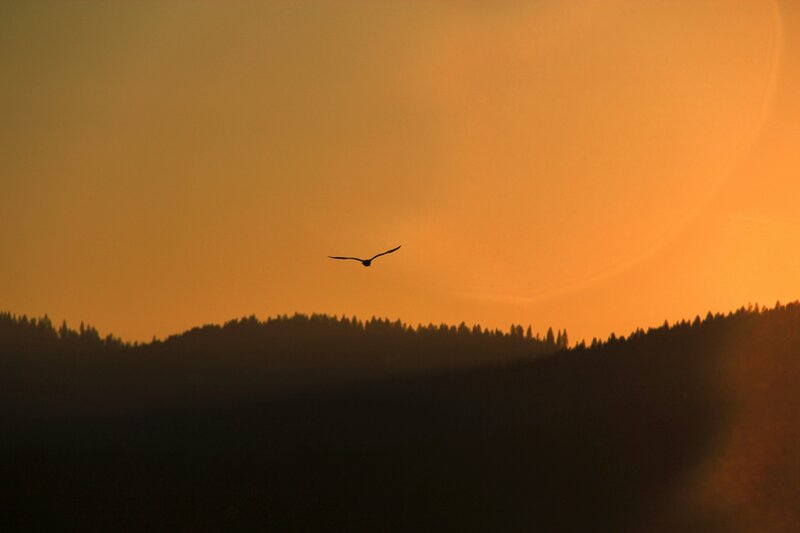 The week-at-a-glance allows you to see the landscape like an eagle. 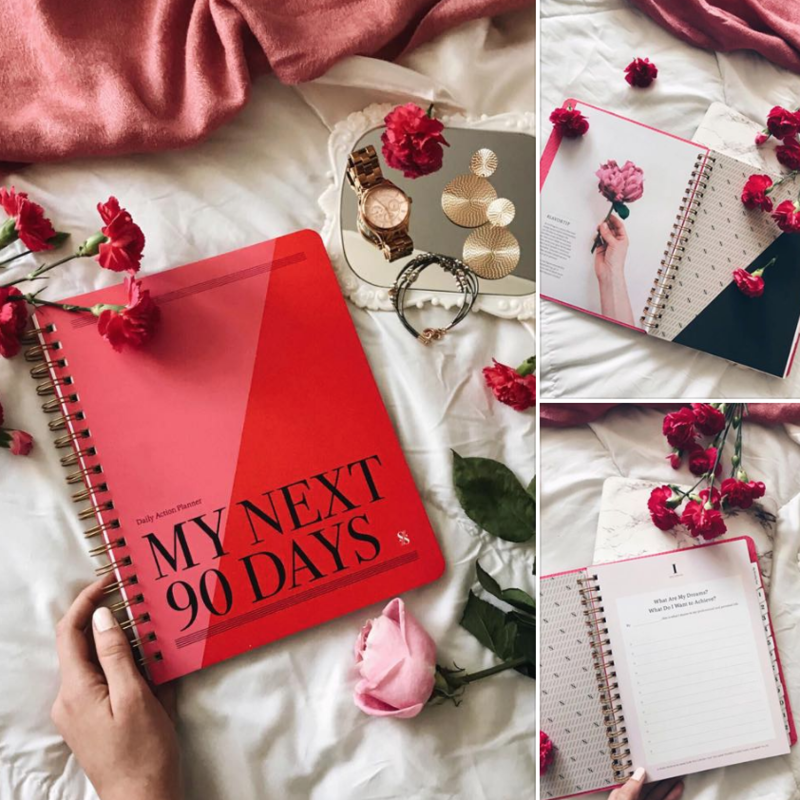 You no longer have to flip back 5-6 pages to see what didn't get done. You can see the beauty in all things and create masterful decisions to make time to savor the sweet parts of life.